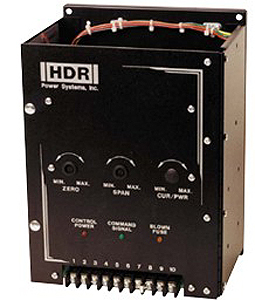 Ametek HDR makes a power control products, including: fusible panel boards, power control systems, power supplies and SCR Power Controls. 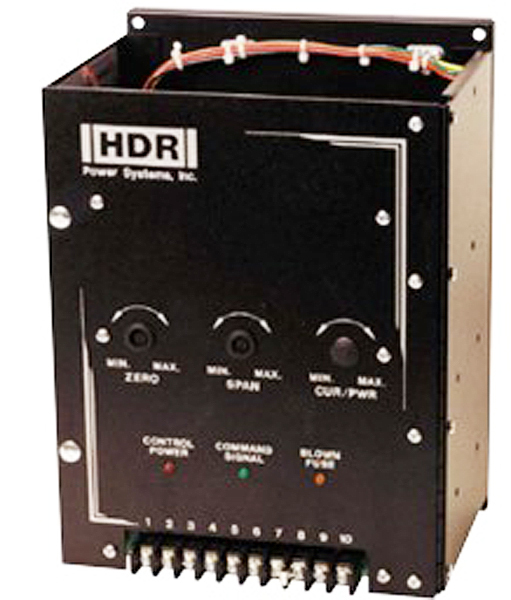 Headquartered in Columbus, OH, AMETEK HDR is a recognized world class manufacturer of electronic equipment for specific markets and special applications. Our SCR Power Controls are high quality, industrial grade products designed to operate reliably for many years in process environments. Our custom engineered equipment and expert staff are dedicated to providing results in faster manufacturing times with fewer revisions and less rework than any other supplier in this industry. Large vendor basebuying group supplying Ametek's multiple divisions enabling lower cost and greater availability of base components. Ability to leverage wordwide install base and relationships to assist customers to meet inernational compliance and market thier products worldwide. Financially stable company that is able and committed to provide long term services and partnership. Unmatched pre- and post- sales services helping customers with specifications and product definitions; and to minimize or eliminate downtime with inside and field technical support world wide.